Introduce your baby to the water (and an engaging play pal!) 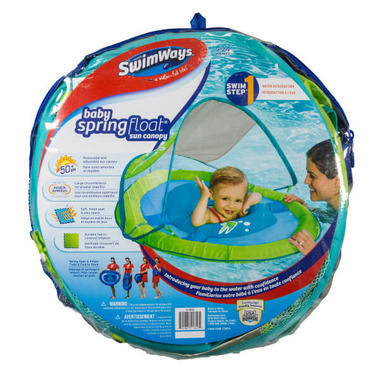 with the SwimWays® Baby Spring Float™ Activity Center. The Baby Spring Float is a wonderful baby shower gift idea; giving parents the opportunity to bond with their child in the water as he or she grows. Suitable for ages 9-24 months old. Please Note: Image and video above are shown in a different Baby Spring Float. This is PERFECT for your little one. We took our 10 month old down south and spent all our time in the ocean. He LOVED it. 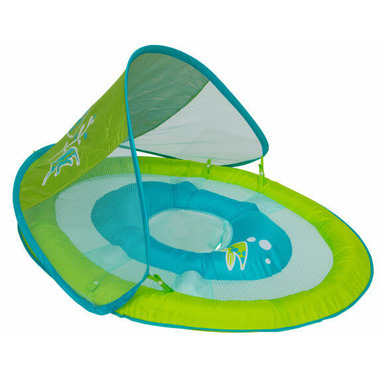 The canopy keeps the sun off your baby's skin, and the floating ring has enough space for them to play with their toys. Be prepared to have people come up to you just to compliment the float. It was a hit. Great product for babies -- took this with us to a Caribbean resort that had a water park and lazy river. 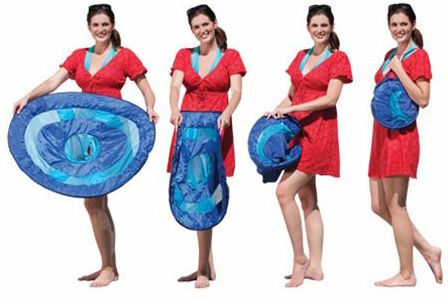 It was a hit with our baby, providing both fun and sun protection. (IMO an absolute requirement if you're taking a baby to the pool as it makes it much easier for the parent). We were also approached by many other parents who loved the shade provided by the canopy. We brought along a manual air pump (not included, which would have been nice but likely would have upped the price).